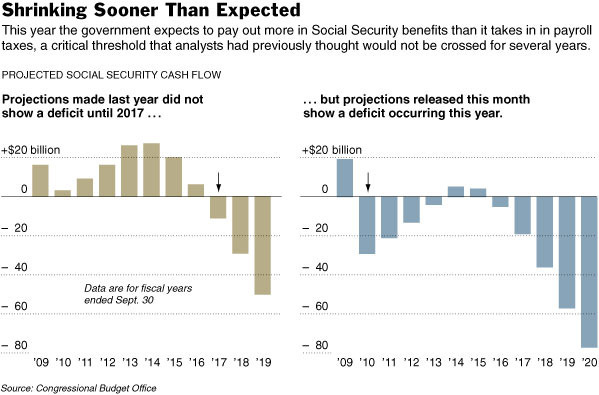 After that, demographic forces are expected to overtake the fund, as more and more baby boomers leave the work force, stop paying into the program and start collecting their benefits. At that point, outlays will exceed revenue every year, no matter how well the economy performs. 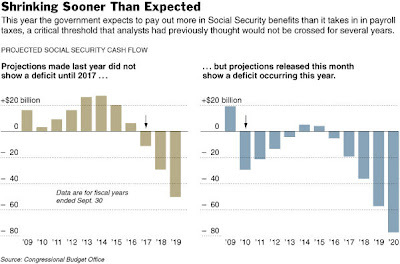 Analysts have long tried to predict the year when Social Security would pay out more than it took in because they view it as a tipping point — the first step of a long, slow march to insolvency, unless Congress strengthens the program’s finances.